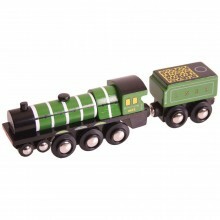 The Heritage Collection offers a delightful range of replica engines from the golden age of rail. 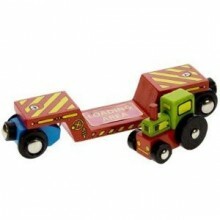 Magnetic couplings and steering wheels enable it to pull a full compliment of carriages. 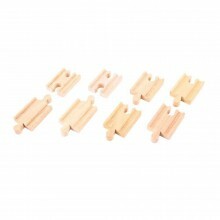 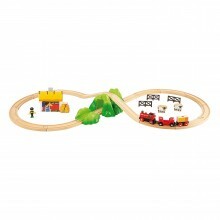 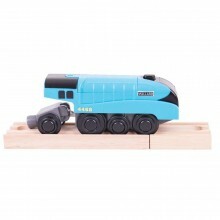 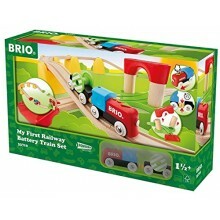 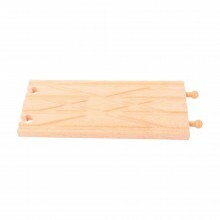 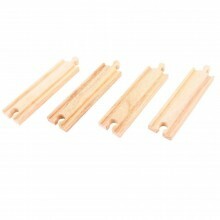 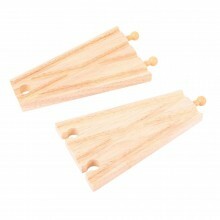 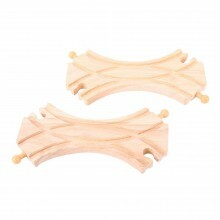 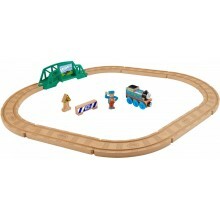 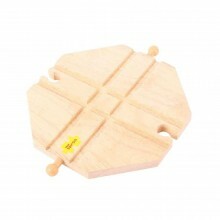 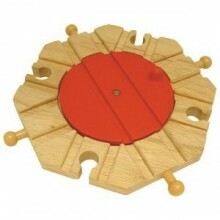 Includes sturdy wooden track pieces that form the figure of eight layout & accessories. 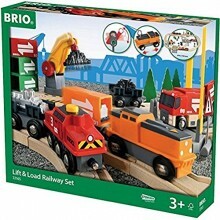 The ideal first train set. 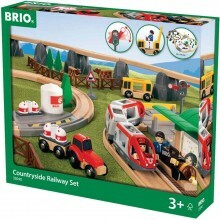 A great way for young railway enthusiasts to build their rail network further! 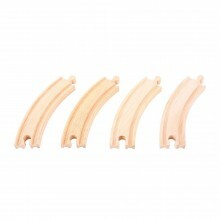 Consists of 4 individual long curves. 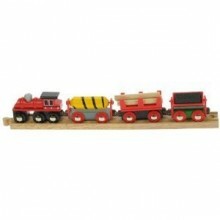 Red train engine and Supplies Train carriages are made up of a Spinning Tanker, Removable Logs and Tipping Coal Bucket. 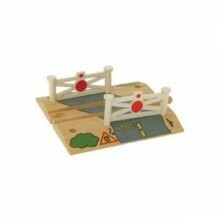 Level crossing set is designed to compliment and expand your rail set, as it is compatible with all of the Bigjigs wooden rail systems.